WC connections must be swept in the direction of flow (proprietary products are designed so). Lengths and slopes are rarely critical. The vent pipe should reach at least 900mm above any opening window within 3m of the stack, including dormer windows. shop around for the best prices List the materials needed and check prices in d-i-y stores and plumbers’ merchants they can vary a lot. Remember to include the price of connectors, solvent cleaner and cement, pipe clips and so on. Try to find somewhere that will give refunds on unused fittings. Waste pipes and their fittings are less standardised than those for water, so it is not possible to give firm rules for alter­ing and adding to existing systems. 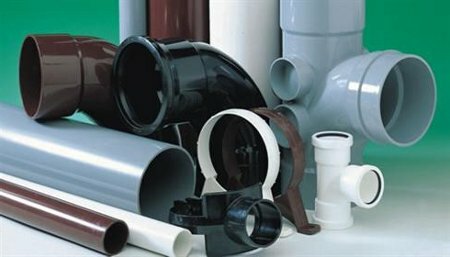 The best method is to obtain a catalogue of the various bits and pieces available in a particular brand – from the manufacturer or plumbers’ merchant – and to plan the work around the parts listed. Alterations which enable pipes to be run into hopper heads or gullies are fairly straightforward ensure that each basin, bath or whatever has its own trap and that waste pipes all slope to the outlet and are of the correct size. Pipes that have to connect to soil slacks are more tricky slopes, lengths and connections have to be carefully designed to avoid the traps becoming unsealed. 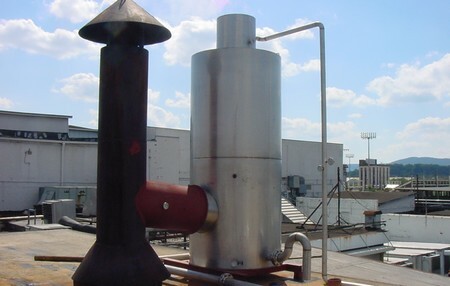 If there is no spare connector boss avail­able, connecting to a plastic soil stack will involve drilling a hole in the stack and strapping on or solvent-welding a new boss to take the pipe. Connecting to a cast-iron soil stack is much more diffi­cult, as you will have to cut out a section of pipe and replace it with one with a branch connection. A job, perhaps, best left to a plumber.